Unravel the mystery of Uganda. Home of the endangered Mountain Gorillas, a Big Five destination and fantastic birding! Stunningly lush, with a mix of savannah and African rain forests- just perfect for photography. Each tour curated by is pure value for money. 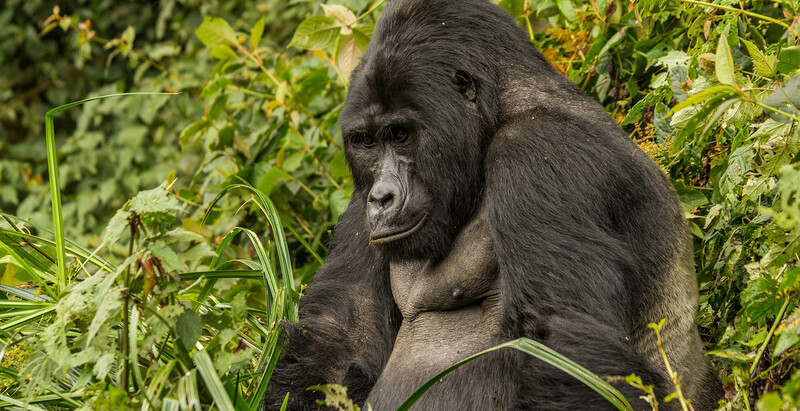 The Gorilla trekking permit and domestic flights are included. Will you ever forget that moment of being face to face with endangered Silverback Gorillas in the Bwindi Impenetrable Forest? Uganda is Africa at its most ecologically diverse. Uncrowded Big Five safaris and tree climbing lions in Queen Elizabeth National Park. Breathtakingly beautiful crater lakes. Chimpanzee tracking in Kibale. Boat safaris on the Kazinga Channel. A birdwatchers paradise with over a 1000 species. The decade long experience of our Ugandan Operator makes each tour seamless. We love that they are 100% local. The local Guides are superb and the lodges are in picture perfect settings. This is a safari destination you must not miss.